No matter the sector or industry of your company, events can be a prime occasion to really gain the exposure you need to flourish. They’re invaluable in the sense that they enable people to put a human face to your company, which is vital to dispelling the illusion that you’re a shadowy, unscrupulous organisation; a reputation that businesses can easily inadvertently acquire. They also supply an unparalleled marketing opportunity, which is why it’s pivotal that your event preparation is on point. Integral to this preparation should be event merchandise. Event merchandise can help your booth or stand have an aesthetic consistency and harmony that is far more likely to catch the wandering eye of attendees ambling around the venue. In this article, I will guide you through the essentials of event merchandise to ensure that your event is a success. As we mentioned in a previous section, lanyards can be a vital promotional product and even more so at events. You need your staff to be highly visible and approachable for any inquisitive passers-by. Equipping them with lanyards to place around their neck and show clear identification is one method of doing this. Alternatively, event organisers may wish to issue lanyards to every guest so that they can easily keep track of numbers. Why not both? Although you would have to ensure that there is enough stylistic difference to prevent confusion and mistaken interactions. 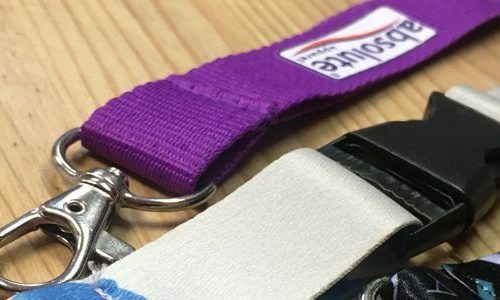 There are a range of customisation options and the lanyard also acts as a momento following the event. Furthermore, you can get a great deal on custom lanyards when you order in bulk. In reality, the lanyard is as essential as they come for events. Customers would genuinely be incredulous if they weren’t offered a lanyard when they enter the venue. Recently, there has been a push toward e-tickets with people printing them off at home and turning up at the venue with a crumpled, low GSM piece of paper with faded ticket information and then subsequently being ushered through. However attendees would be much more grateful if you issued them a top drawer printed ticket which contained all of the event and brand information. You get a lot more giddy with anticipation when you receive a professional, laminated ticket for the event which also doubles up as a keepsake. In many cases, besides a bunch of low-light and blurry camera shots, a ticket is one of the only pieces of proof that they were there to experience a particular event or artist. Don’t disappoint your customers and print a high quality and creative ticket for them to use and treasure. Printed backdrops allow resourceful companies to completely alter the atmosphere of an event stand or booth, adding colour, vibrancy and energy to an otherwise unengaging setting. The backdrop can offer singular information about the company’s unique selling point or give a valuable insight into the company culture. If you’re not careful and have no alternative to printed backdrops, your whole stand can end up looking a little bleak and forbidding. They are also fantastic to have on stage behind your keynote speaker, helping to reaffirm to watchers the nature of the event and display important information. Grab a printed backdrop that features one of your top products and watch as people flock to your stand. Roller banners are another excellent product to have in your tradeshow repertoire. Undoubtedly, the day of the event is going to be chaotic and you will be hard pressed for time. In this crucible, you need all of the help that you can get to not get left behind in the parking lot. They are usually retractable and similar to backdrops but more specific and can be excellent tools for showing your graphics, logos, special offers, promotions and product offers. They also have a killer life span, and if you take care of them can be rolled up and reused at different events over and over again. The combination of roller banners and backdrops can really go the distance to garnishing your otherwise nondescript company stand or booth. Personalised T-Shirts are another indispensable item for events. They help to create solidarity and harmony between your team that are manning the event, as well as actually distinguishing them from the legions of guests that are buzzing around. They give a professional appearance and are excellent canvases for displaying your logo and brand iconography. Additionally, T-Shirts can be used as a giveaway prize to garner extra hype around your company. This is generally contingent on your T-Shirt actually being stylish enough for people to want, so we would suggest refining your design until it dazzles and inspires. This is one of the first items on the list for most companies, but it is not as simple as merely selecting a design and then running with it. You also need to decide on the printing technique you’re going to use, whether it be screen printing, DTG, embroidery or whatever takes your liking. This step is fraught with danger, but luckily here at Garment Printing we have an expert team that can propose the technique that best jibes with your business needs so you don’t come unstuck. Event merchandise is a facet of your company’s event experience that you neglect at your peril. However, if you look into incorporating these kinds of merchandise into your event preparation, it could be an absolute boon to your efforts. Reach out to us today to get your efforts underway!